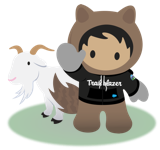 I created a que in salesforce is it possible to set up some filters within the que and if so how? Answer is NO. You dont have a chance to add filters in Queue. You have a chance to add queue members and supporting objects. Many of our users are reporting the dreading spinning SFO side panel. Previous versions of outlook had a config we could update related to running an add on optimized that now seems to be gone. Has anyone been able to overcome this? We have a picklist called Risk with 4 values in it Choose (default), Low, Medium and High. We do not want the --none-- value to appear when the user clicks the drop down arrow, is there any way we can achieve this. or may be make them required at the Page Layout Level! I have a Lookup user field "Account Manager" to push into another object. So I initially used the formula "Account__r.Account_Manager__c"
But as it is a Lookup user field, the result is an Id. But could you tell me what is the formula to have the Last and First Name of a special Lookup User field please into another object? Hello - I enabled path settings for a custom object I created, but the chevrons are not appearing on the object. I only have one record type so I have already ruled that out as the problem. Any thoughts what it could be? Hi Danielle - did you add the path to your lightning page and enable that page for your org, app, and profiles you want to see that path? You can click edit page from the setup, then on the lightning page screen, drag and drog the path component into place. Click save and then activation - choose to either set it as the org default (everyone) or specificlaly for app(s), record type(s), and profile(s). When you go back to your custom object, it should appear on the page. Does Salesforce require Locally-Installed Java? This may be a stupid question and I'm pretty sure the answer is "No", but I wanted to double-check just in case. Now that Oracle is going to start requiring paid licenses to use the latest versions of Java, our company is looking to discontinue both support and use of it. Our intent is to mass-uninstall Java from our employees' devices, but we are trying to take stock of what applications we use that still rely on Java to work properly. Does Salesforce require a Java installation to work properly? I've never seen any Java-related messages appear, nor any Java-related loading screens, nor any requirements to update it outside of our regular update prompts, so I'm assuming the answer is no. Salesforce is Cloud based platform and as it is cloud based it does not require Java locally. You can access Salesforce from Browser like Internet Explorer , Chrome and Mozilla Firefox. We are looking to track how long it takes from when a new case is received, to when the first email is sent to the customer, Excluding the auto-response email. My criteria would be to only update the time stamp field if the following are true. The email from field is not "noreply@companyname.com"
The trigger would set the time stamp field using Now() function. My only problem is, I am not sure which object to relate this trigger. At first I thought it was email, but I beleive this is only for incoming emails, and not outgoing. Which object should be selected? Additional assistance, since I am not a Salesforce developer. I believe I need another custom field to display the total time between the create date, and the time stamp. What would the formula be for this field? The Email Message object is the right object to target with your workflow -- it applies to both incoming and outgoing messages (incoming are where the Incoming field is True). If this answer worked for you, please mark it as the best answer. Thanks! I'm looking to customize the 4 fields that display to the agent when a case is offered in Omnichannel. I was advised to use Mini Page Layout for this, but that doesn't seem to be doing the trick. Any other advice for me on where to go to customize that? Have you tried Compact Layouts? I think that was where I set those field when doing an omni-channel project. Is there a way to remove the Optional Section from the Cases Page Layout? I am not able to remove the Optional section on the bottom of the cases page layout that our support agents use. I'm not able to drag it off of the layout. If that is not possible, how can I remove the "Assign using active assignment rules" and "Send notification email to contact" check boxes that appear in the Optional section? Support agents are not using these at all, yet they are required, and our support agents have to scroll down to uncheck the boxes before they can save a case record. If anyone has a suggestion, please let me know! If you have System admin profile then edit layout and remove it from layout.i f profile is different then may be you don't have access to edit layouts.